I wanted to ask for your take on guys who play games in relationships, like the texting game, for instance. I thought people stopped that after college, but recently found out I was wrong. I hate the whole game of one person sending a text and the other waiting two hours before responding, even if they have their phone and aren’t busy, just so they don’t seem desperate. I really don’t like playing games but this guy I’m involved with is being very confusing and I can’t tell if it’s just a game or not. Is there a way to break the texting game or is that who that person is by nature and there’s nothing that can be done? How can I beat the texting game? The first ever question we received for our Ask a Guy column was: “Why do guys take so long to text back?” Clearly it was a hot topic. The article exploded and remains one of the most read and shared articles on the site. What is it that’s causing so much confusion? For one thing, men and women approach texting (and communicating) in very different ways. Unlike women, men don’t view texting as some sort of barometer for the relationship. Women, not he other hand, tally up texts like they’re plucking petals off a daisy, looking for a way to quantify how he feels with something totally arbitrary. The reasons guy don’t text back, or take a long time to text back, vary from one man to the next. However, it’s pretty easy to identify what the culprit is. 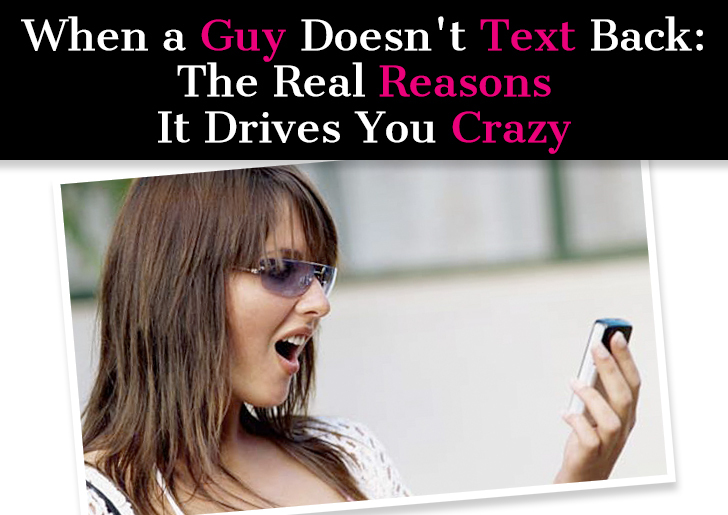 Take this super easy, super quick quiz to find out why your guy isn’t texting you back. If you answer honestly, you will get shockingly accurate results and will know exactly what to do to fix the problem. 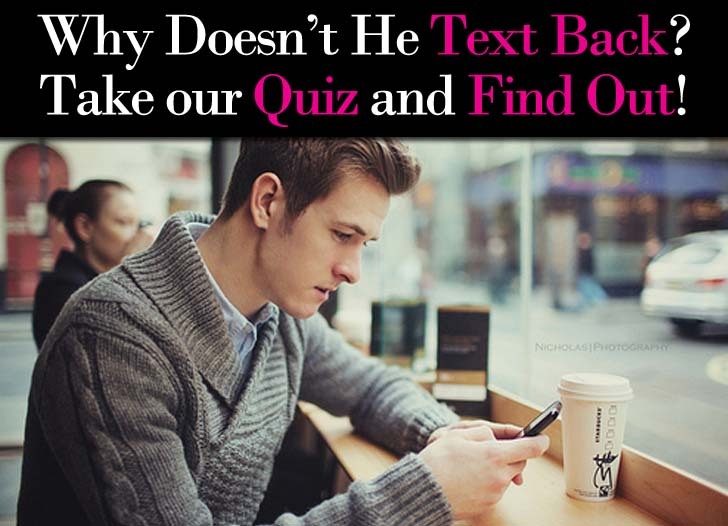 Ask a Guy: Why Did He Lose Interest and Stop Texting Me? I met a guy two weeks ago and we instantly hit it off. We talked on the phone and texted regularly and went out on a few amazing dates. Everything seemed to be going well but then he had to go out of the country for a business trip. I didn’t expect to hear from him while he was away, but he’s been back for three days now and I haven’t heard a peep! If he wasn’t interested why not just tell me instead of pulling a vanishing act? This isn’t the first time I dated a guy and things were going great and then he fell off the face of the earth and I can’t for the life of me figure out why. I am a confident, non-needy woman, I didn’t place any expectations or demands on this newest guy. I just don’t understand, what happened, what changed? How could he go from being so interested in me to gone? And do you think it’s worth it for me to send him a friendly text to see how he responds? I had a boyfriend for just over a year, we split up about three months ago because of all the arguing and stress. He is quite ignorant and I’m used to having arguments with him and not speaking for days. As per usual I’d be the one to text first and cave in. Lately we have been meeting up and occasionally sleeping together, it’s really good and we classed ourselves as seeing each other. But now I find myself feeling ignored, I’d normally expect a text a day or so but I’ve received nothing. I always text him first so today I didn’t bother, and he didn’t bother texting me? Am I overreacting or does he just want the chase or a relationship? There’s this guy I really like and at first things were great. We texted constantly for about five days but then he suddenly stopped. I left him alone because I didn’t want to come across as annoying or something. After that it seemed like I always had to initiate the conversations to get a response. It really seemed like he cared so why would he go from talking to be all the time to not talking at all? Two months ago, I was dating a guy for like a month and he was after me like crazy. At the time, I thought he and I wouldn’t work out, so I rejected him. We had some turmoil in between and I thought I wouldn’t hear from him again. Then he initiated contact saying that he’s happy we are still friends and we kind of talked on and off for another week or so. He invited me to an event he was throwing and after that we started talking almost everyday. Here’s the tricky part: Now he doesn’t call me as much and when we text he sometimes leaves me hanging mid-conversation. I have started to really like him and I feel like I screwed things up by rejecting him at the start. How can I get him to start chasing me again? 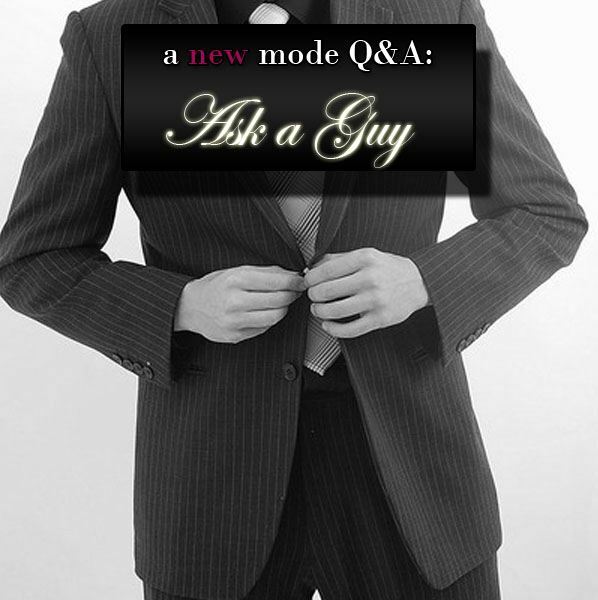 Ask a Guy: Am I Being Needy?